The past few weeks I house sat for my parents while they were someplace MUCH warmer than Wisconsin ! I took my camera along, but didn’t shoot much, just snapped at random things, and had fun with the light that shined in my parents home. It was great to get away, reclaim my life from work. Photography is such a large part of my life, that sometimes I forget to slow down, take a deep breath and look at the world around me. I also start to think of photography as a job, and it gets to be work instead of a dream come true. So …. every once in a while I step back, take a break from photography and the work of it all. And remember why I am doing this, and reclaim my life. I came back from this little break so refreshed, and flowing with ideas! Creativity is again flowing, and I can’t stop it. I LOVE IT! 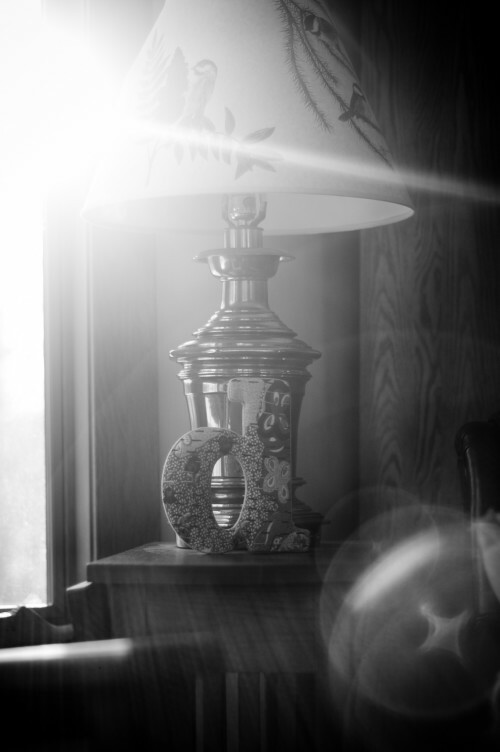 This photo is of the letter ” d ” I bought for my parents one Christmas – I ADORE This letter, and the light that poured in through the windows. Remember to take a step back, take a deep breath and reclaim your life !